Sire ( Father) DJ Great Personality Dam ( Mother) Star-Keeper Perfect to pet all day. Hello ! My Name Is Natayla! Natayla is outgoing girl, with an abundance of personality ! She is a combination of love. She is quite the loving companion, She will make you wonderful companion. How could you ever got along without her? She will surely make you smile with all her happiness! She is full of life. She has a beautiful black and white coat, like his mother ''Star-Keeper'' and her father ''DJ'' Natayla has those striking bi-color eyes to match. (AKC) Registeration paper to be registered by you. AKC Reunite microchip. Will need to be registered with AKC Reunite. She comes with a 5 year Genetic health guarantee. Sire (Father) and Dam (Mother) are free of genetic disease, to the best of our knowledge. Natayla is current on her vaccinations and worming schedule. Will be up to date. * Deworming starting at 2 weeks up to 18 weeks of age. * Receive booster vaccination at 6,9,12,15, weeks of age. Approved by Dr Brooks for Natayla to be healthy. We are pleased to offer you this special offer for Medical Insurance for Natayla. Medical Insurance for your purebred pup part of responsible dog ownership is making sure your pet gets the medical care they need , when they need it. Which will have to be activated within 24 hours when receiving puppy. What food, We recommend for Natayla. She will come with a Royal Canin puppy starter kit. Comes with sample of food and $20.00 coupon. Puppy-Kit will need to be registered by you for coupons to use in the future. and mother scent on it to help with stress. You need to schedule a 3 day prior to pick up your puppy. health certificate provided by Veterinain Dr.Brooks, It is important that we make sure you're getting a happy, healthy puppy. At Loyal Siberian Husky , We do offer Airplane Shipping. As a courtesy to the Buyer,We will make flight arrangements for the airlines. 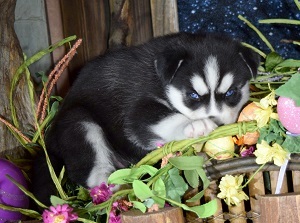 Puppy has to be 8 weeks or older before we will ship your puppy.We understand that those who want to associate with a quality Siberian husky breeders such as ourselves, don't always live nearby. Here is a suggested check list for you. When you go to the airport to pick up your puppy. 4. puppy wipes or a clean wash cloth. 5. lots of hugs and kisses...Natayla will come out of there ready to play. You will need to add Natayla to the cart and put a $200.00 holding fee on her. may have, and help you determine if Natayla is right for you. It is important that we make sure you're getting a happy, healthy puppy. 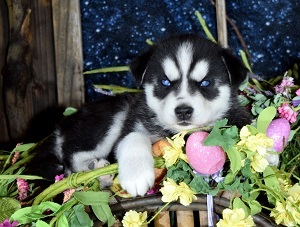 We are proud to offer airplane shipping of our husky pups. and distance. Flights are booked days in advance with arrival time and confirmation number. We will make flight arrangements for the airlines. 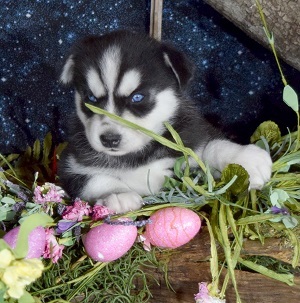 Puppy has to be 8 weeks or older before we will ship your puppy.We understand that those who want to associate with a quality Siberian husky breeders such as ourselves, don't always live nearby. Cost is subject to change by airlines price increase.This includes the airfare, required vet checked, certificate of health, travel crate. Want a faster flight you will have to use Dash which is a extra cost. Steps To Use To Check Out. 1.Step one Click Read More on the puppy you're interested in.Click on Delivery information . 3.Login, Then Register Me. Existing Customer if you're already created account.If not go to next process. 4.Skip Login and Checkout as Guest. 6.Click on either I Will Pick Up My Puppy or Please Ship The Puppy To Me. Comments/ Instructions, Enter Your Information in here or Special Instructions in this box. 7. Puppy holding charges: Full Amount or $200 or Enter Your Own Amount In Box.Holding fee of $200.00 non refundable. The $200.00 holding fee will be taken off the price of puppy at checkout. This will secure your puppy til we agree on date for pick up or shipping. 8.Then Click Continue Checkout Step 2 Pay Now using PayPal Payment or Pay with Debit or Credit Card Secure site when checking out. and help you determine if Natayla is right for you.